Ganesha is a Hindu god. He's very important and powerful. And a tad chubby. 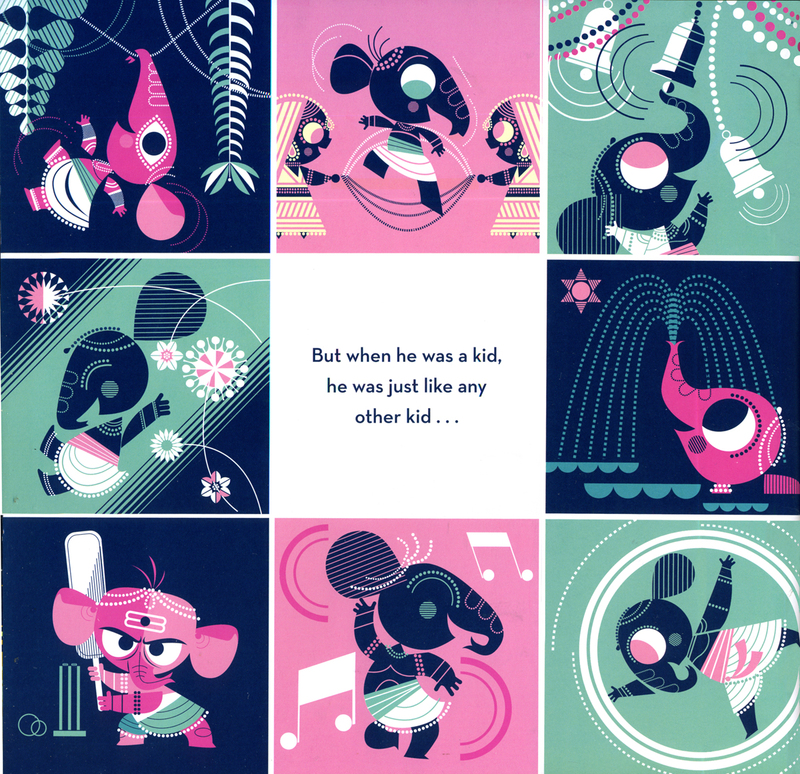 except that he had an elephant's head and cruised around on a magical mouse collecting fruit, rice, sweet, and other gifts from the temples in his neighbourhood. 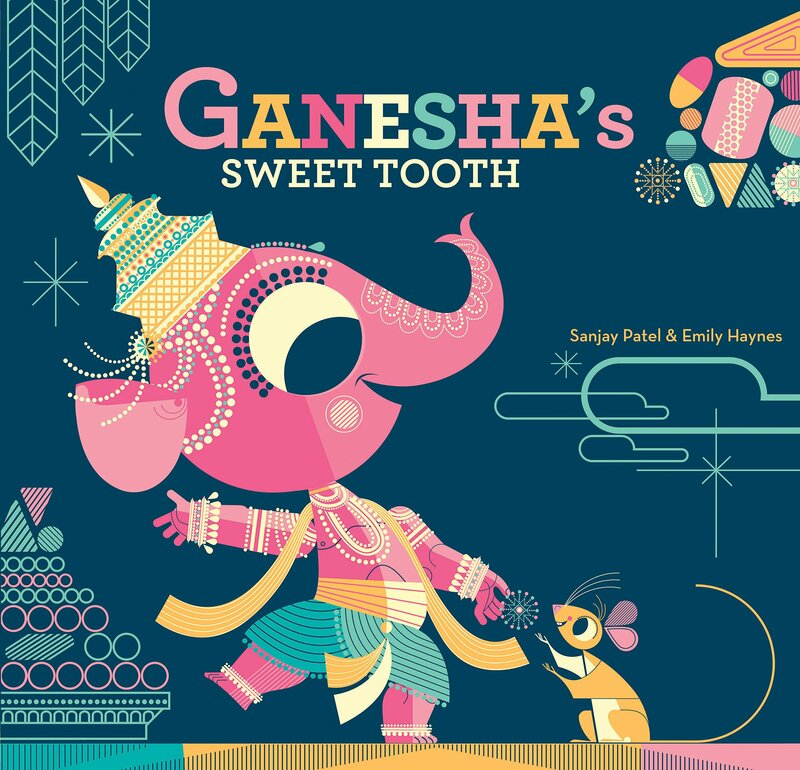 This is a retelling of the Hindu legend about how Ganesha came to write the Mahabharata. It's sold as a picture book, not a comic, but as Scott McCloud's Understanding Comics says, if a story is told through sequential art it can be considered a comic.